Open daily March 29 - May 11, 2018. Artist's Gallery Talk and Reception on March 29th at 5:00 p.m.
Brett Evans grew up in Hyde Park, New York and graduated from Brigham Young University in Idaho with a BFA in Ceramics. He then went on to become a Resident Artist at the Archie Bray Foundation for the Ceramics Arts in Helena, Montana and has since completed a Post Baccalaureate Artist Residency at the University of Arkansas. Brett is currently the Artist in Residence and Studio Assistant in the Ceramics Program at Simon’s Rock. 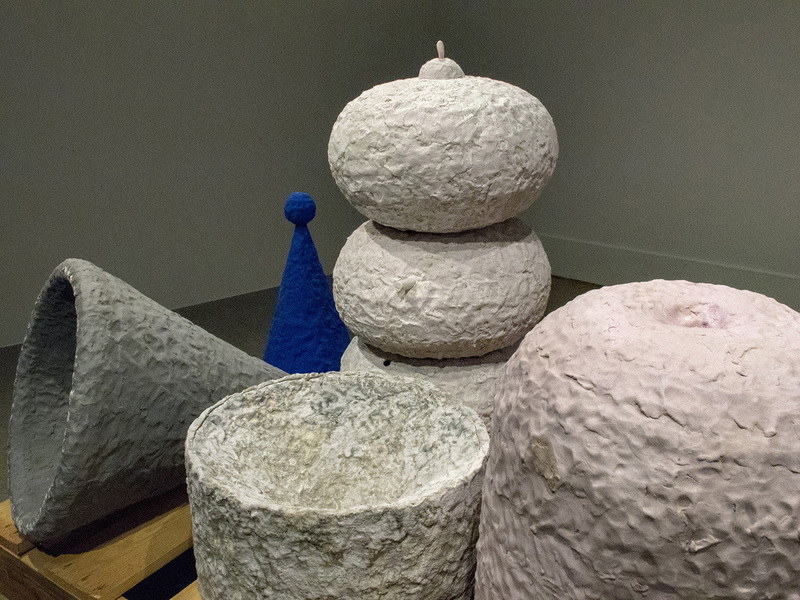 "What I make investigates relationships of form, color, materials, space, and place. When making and arranging each composition I am interested in following ‘gut’ reactions that I hope to be honest to the sum total my personal experience, and what I hope to experience. I do this through meditated editing and rearranging until I feel that I have achieved a piece that is on the edge of seriousness and quiet peculiarity. Often when I am making I think of quotidian poetry and how objects and arrangements can reflect the feelings associated with this genre." See more of Brett's work at brettevans.org.